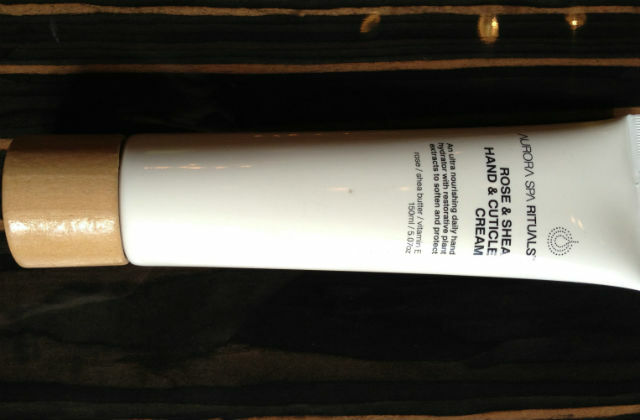 It was love at first use with the Aurora Spa Rituals Rose and Shea Hand and Cuticle Cream. It was then even more exciting that my hands were even more lovely with each use. This is a hand cream that really delivers….. with natural ingredients of Rose, Shea Butter, Jojoba, Olive , Carrot and Almond oils. My hands get washed a lot being a make up artist and it takes something special to keep them moisturized and feeling soft and this one really works. The fragrance is also calming and soothing with extracts of Bergamot, Sandalwood, Clary Sage and Chamomile and perfect for that final moisturize before bed. I also love this is an Australian made product.